Dr. Silverberg quoted for NBC's Today Show on: Pregnancy Foot Problems. the Internet home of Drs. Emanuel Sergi and Lawrence Silverberg, the most compassionate and skilled foot doctors in the New York City Metro area and the country. Dr. Silverberg is Board Certified by the American Board of Podiatric Surgery. Our office is conveniently located in Midtown Manhattan near Grand Central Station. We take great pride in providing excellent medical care along with great bedside manner and take the extra time to explain your problems and the treatment options in detail. At City Footcare we treat all problems related to the foot and ankle. We use state of the art diagnostic and therapeutic equipment. The doctors believes in patient education, and patient participation in their care. We take pride in spending time with our patients and listening to them. Our patients never feel rushed. We also take the time to explain patients problems in detail and spell out explicit treatment plans. When your problem requires surgery, you can rest assured that you are in the hands of a competent and highly trained surgeon. Drs. Sergi and Silverberg have been called the best foot surgeons in NYC and the best bunion surgeons in NYC. The doctors perform all foot and ankle surgery including traditional open surgery, minimally invasive surgery, laser surgery, radio frequency surgery and extra-corporeal shock wave therapy. Drs. Sergi and Silverberg are experts in all aspects of foot surgery. They are very detail oriented from start to finish. A good surgical outcome starts prior to entering the operating room. After expertly diagnosing patients’ conditions, they plan out the procedures with great skill. In the operating room they are skillful and precise. they also take into consideration aesthetics with incision planning and plastic surgery type suturing techniques. They is hospital and surgery center affiliated. To resolve all of your foot and ankle problems, simply look around this site and make an appointment with Drs. Sergi and Silverberg today. Your feet will be glad you did! Please see the medical DISCLAIMER on the ‘about this blog page‘. Dr. Silverberg quoted for NBC’s Today Show on: Pregnancy Foot Problems. I’m pleased to announce I was asked to contribute to a story on NBC’s Today Show (Moms Section ) on High Heels and Pregnancy. 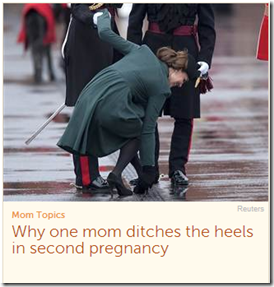 I was asked about foot problems women face during pregnancy and my opinion on wearing high heels during pregnancy. Click the below picture to go to the article. Keep your foot dry after surgery! What is gout? and… Foot surgery for gout. One Response to Dr. Silverberg quoted for NBC’s Today Show on: Pregnancy Foot Problems. Good Day, Dr. Silver! I am scheduled to have bilateral bunionectomy (I have large bunions and tailors bunions on both feet) on May 1st. I live in Columbia, SC. 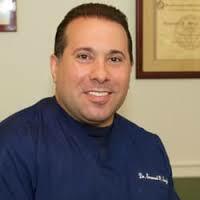 My orthopedist, Dr. Nahigian, is wonderful, but he specializes in knees and shoulders. I am 43 years old and ready to have these painful bunions removed, but would like your input and if you think I should seek a more specialized doctor, or am I in great hands? Specializing in foot surgery, bunion surgery, hammertoe surgery, cosmetic foot surgery, general podiatric surgery.